In the earliest days of the gay rights movement, the sight of a man wearing a dress was one of the most visible and shocking symbols of queerness. It’s what a lot of sheltered Americans thought of as “gay”—a man who wanted to live as a woman—and it’s what many of them mocked and feared. Political activism and popular culture have raised awareness of the diversity within the LGBTQ community, and yet transgender individuals have remained relatively marginalized, isolated from the mainstreaming of homosexuality due to an “otherness” that some still find disorienting. Even with series like Transparent, Orange Is The New Black, and I Am Cait, gender fluidity remains a tricky subject, and dangerously so, for the people whose lives are threatened daily by violent homophobes. The documentary The Death And Life Of Marsha P. Johnson is ostensibly about the title character: a gay pride pioneer who participated in the Stonewall uprising, and who remained a vocal advocate for the rights of New York’s street-dwelling outsiders in the 1970s and ’80s. Born Malcolm Michaels—and known by friends as “Mikey,” “Michelle,” or “Marsha”—Johnson self-identified as a drag queen and transvestite in the era before transgender people began fighting en masse for more precise terminology. She was found dead in the Hudson River in 1993, in what the police initially ruled a suicide. But those who knew her joie de vivre and history of mentoring runaways and street prostitutes suspected that she’d been murdered. The Death And Life Of Marsha P. Johnson was directed by David France, whose 2012 film How To Survive A Plague uses the history of the AIDS-fighting organizations ACT UP and TAG as a way to cover the increased visibility and political engagement of gay men and women throughout the ’80s and ’90s. His new film has a similar dual purpose. The primary narrative thread follows the efforts of trans activist Victoria Cruz to get the Johnson case reopened as a homicide. Periodically France jumps ahead from Johnson’s death to consider the many, many contemporary examples of trans women whose murderers have never been caught or were given inadequate sentences by a justice system sympathetic to the defendants’ claims of “panic.” The Death And Life Of Marsha P. Johnson spans decades, and is as outraged by the present situation as it is by the culture of the 1990s and before. The film’s biggest weakness is that it doesn’t spend enough time on Johnson. Cruz digs into aspects of the case that are potentially fascinating from the perspective of LGBTQ history—including the involvement of the Mafia in running gay bars and the sad fact that prostitution remains the way some young folks explore their nonconforming sexuality. 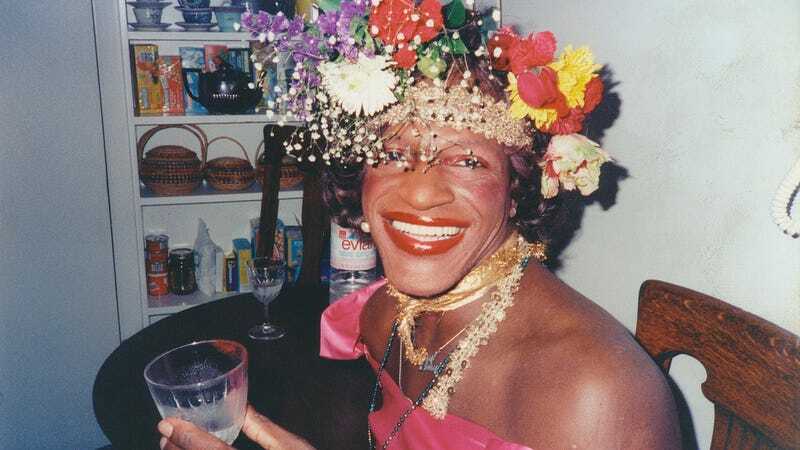 But The Death And Life Of Marsha P. Johnson never really presents a new convincing, evidence-backed theory of what happened to Johnson herself; and France doesn’t have enough footage of his subject to fill in the gaps in her story between Stonewall and her demise. If anything, there’s as much material about Johnson’s compatriots Randy Wicker and Sylvia Rivera as there is about Johnson—and Rivera’s story is just as on-point. The co-founder (with Johnson) of the Street Transvestite Action Revolutionaries, the late Rivera struggled with poverty and depression, and was vocally angry about how her trans subculture was increasingly excluded from the larger cause of the gay liberation, post-Stonewall. France has a lot of footage of Sylvia to work with, and much of it is scorchingly, persuasively critical. Still, even if The Death And Life Of Marsha P. Johnson doesn’t wholly deliver on its premise, France does a remarkable job of finding the continuity between New York in the ’70s, ’90s, and now. 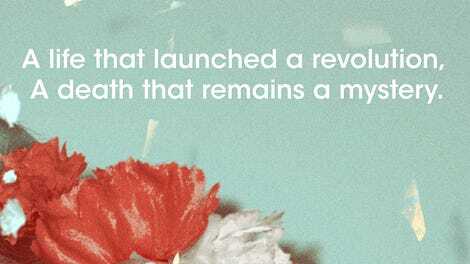 Like How To Survive A Plague, this documentary acknowledges progress, while noting that the issues that gay rights pioneers were struggling with have never fully gone away. If nothing else, that’s a necessary corrective to the impression that everything’s okay now for every (or any) color on the LGBTQ rainbow.